Price comparison sites have transformed the way consumers shop for insurance, buying car insurance in particular used to be a real chore for motorists. Confused.com changed that ten years ago, when they launched the first online car insurance quote comparison service. The humble text has leapt from its simple beginnings right into the hub of the business world. Organisations have realised that text messaging is a great way to reach customers … and if they opt for Premium Text Messaging Services, they can generate additional revenue. 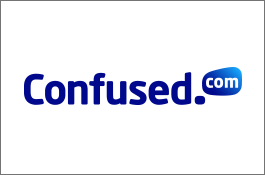 As well as being able to source a range of quotes in one go from any web enabled device, Confused.com customers can now opt to receive a car insurance quote via SMS, by using Confused.com’s text message car insurance quote service – QuickQuote. QuickQuote is quicker than an online enquiry… and very handy if you are out and about car shopping and need to know instantly what the insurance is likely to cost on a particular vehicle, before you make any final decision. As long as they have previously registered their mobile phone number and details with Confused.com, users simply text the registration number of the car they want a quote on to Confused on 66800 and in a matter of seconds a competitive car insurance quote will be delivered to their mobile phone. QuickQuote is driven by ProcessFlows’ Premium Text Message Services (PTMS) – hosted, customised, behind-the-scenes SMS solutions. PTMS was developed to meet the needs of large organisations, like Confused.com, who want to leverage the popularity of text to market, engage bi-directionally with an extensive audience in real-time and generate revenues along the way. The services are capable of handling variable and large messaging volumes, are fully compliant with all data protection and communications regulations and have the reliability of seamless back-up. Confused.com opted for a premium, revenue generating shortcode text number for QuickQuote – the service charges are in addition to standard messaging charges. SMS premium shortcode numbers are an excellent medium for increasing business revenue. Because they are a maximum of 6 digits, they are quick for users to key in, so are more likely to be used and therefore have a better chance of success. And many more… the possibilities are endless. Confused.com rent their shortcodes from ProcessFlows. They can choose to purchase their messages as prepaid bundles or receive a monthly invoice. All ProcessFlows’ Premium Text Messaging Services come with comprehensive ‘insurance’, which includes 24/7 full system support and maintenance from the ProcessFlows’ services and helpdesk team. Since its launch, thousands of Confused.com customers have used QuickQuote and consumer feedback has been very positive about the ease and speed of the service.